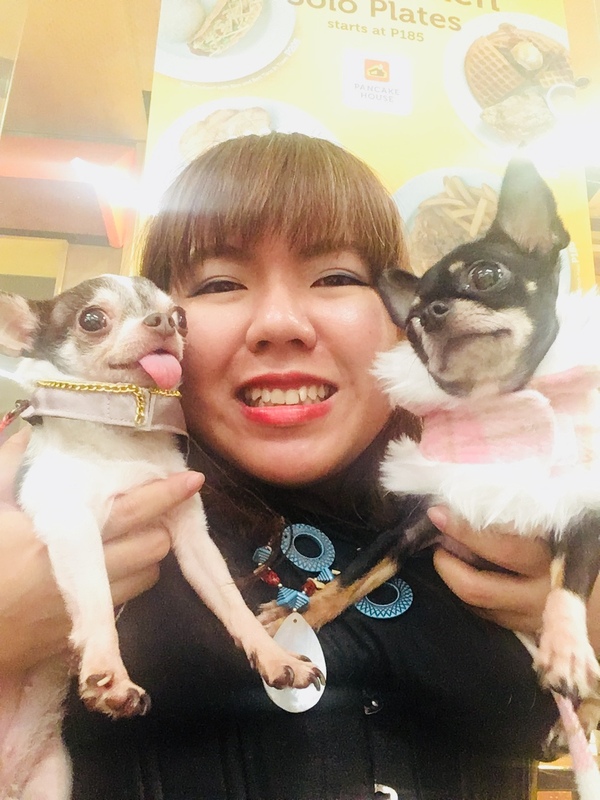 The Ups and Downs of Modeling with Your Dog by Jeng Mamiit, Baby Moon Correspondence and Model. Modeling with your dog can be a very rewarding and great bonding experience with your pet. I have experienced different types of modeling, and modeling with your dog could lead to unique and lovely memories. As both a ramp and print model, I only had to think about myself, which made adjustments easy. In modeling with your dog, however, adjustments are always needed – and sometimes difficult. For example, when I modeled with my baby Leo for Pet Express, he didn’t want to walk on both occasions, in SM Mall of Asia and SM Megamall. However, when we modeled for Baby Moon Lifestyle for Hobbes and Landes, I had no problem having him walk. He even looked very cheerful on the runway! It was even more difficult when I tried to model with all four of our babies. In most instances, some of them walked, while others constantly tried taking their costumes off while on stage. Adjustments aren’t the only thing needed in modeling with your dog. Before you participate in this activity, you need to know and understand the many ups and downs of dog modeling. · You get to experience the glamour of modeling with your pet. · The experience can’t be compared to anything else. · You get to meet a lot of other people that want to showcase their pets as much as you do. · Last but certainly not least – freebies from sponsors! · You have no room to experience stage fright since your dog will be sensitive towards negative feelings such as that. · It could be costly to maintain good looks and purchase good clothing – for both you and your pet. Modeling with your dog is certainly not for everyone. However, once you are able to participate in such an activity, you will right away feel how special this experience can be for you and your pet.